Naturopathy (Photo: fiona paloma; CC BY-NC-SA 2.0). Less than 25 years ago, a McMaster University research group headed by David Sackett and Gordon Guyatt developed a set of methods to test the scientific value and clinical benefits of medical interventions. The methodology helped push physicians to practice evidence-based – rather than anecdote-based – medicine. As young as the concept is, however, it’s still surprising to read about government-funded initiatives supporting naturopathic treatments–many of them not backed by scientific evidence–into mainstream medicine. In February, The Globe and Mail reported on the opening of the first naturopathic clinic inside a Canadian hospital. Ontario is preparing to grant naturopathic doctors permission to prescribe some drugs and order some lab tests. Some naturopaths are already permitted to do so in British Columbia, as well as in several US states. Naturopathy combines a variety of techniques, including herbal remedies, vitamin supplements, massage, homeopathy, and lifestyle counselling. It argues that natural is good and unnatural is bad–and should be removed. But not all things natural are good for you: arsenic, cyanide, asbestos… . Even if they aren’t bad for you, it doesn’t mean they can improve health. Only with rigorous experimentation, well-designed clinical trials, and the accumulation of evidence can scientists learn if a drug or treatment is effective, whether it’s natural or chemically synthesized in laboratory. 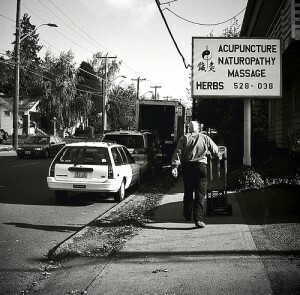 Why do people turn to alternative medicine? An analysis of data from the Canadian Community Health Survey (2001-2005) found that 12% of Canadians had sought out alternative medicine within a year of the survey, mostly for asthma (15%) and migraine (19%). Women with higher than average incomes, more education and suffering from chronic conditions are more likely to seek out alternative therapies than the average person. Studies of Canadians using complementary and alternative medicine (CAM) have found that a large proportion of them seek alternatives to conventional medicine because they had trouble communicating with their primary care physician and didn’t find conventional medicine effective for their condition. Another study found that the holistic approach appealed to many and that they felt more involved with their care. Patient safety is of the utmost importance in medicine. But the treatment should also work. When asking whether or not a potential treatment is beneficial in managing a specific condition, randomized, double-blind, placebo-controlled clinical trials are the way to go – and they need to be reproducible. The Cochrane collaboration releases reports called systematic reviews that survey all published research regarding a particular treatment, disease or other clinically relevant subject. By applying rigorous statistical tests, its authors can conclude if a treatment provides a significant benefit to patients. Numerous systematic reviews have been published on assumed efficacy of certain CAMs such as acupuncture and herbal medicine, yet the majority of them conclude either no evidence of effectivity,or are unable to draw any conclusions due to poor quality of performed clinical trials. Science bloggers have also carefully dissected examples of naturopathic prescriptions, discussing the evidence behind their recommendations – or the lack thereof. Julia Belluz (who blogs at Science-ish) discusses acupuncture and chinese herbal medicine and Science-Based Pharmacy has covered remedies for seasonal allergies, detox, multivitamins, vaccine alternatives and much more. As of yet, the body of evidence does indicates that herbal remedies and homeopathic products are little more than placebos, despite their claims at cures. Mainstreaming of naturopathy in hospitals–as we’re seeing in Ontario now–and their self-regulation further legitimizes them in the public’s perception, and suggests that Canada’s health officials support non-evidence-based medical practices. In the absence of proper scrutiny by health officials, some naturopathic interventions could pose risks to public health. Pharmacy shelves are stocked with homeopathic remedies branded to prevent influenza or asthma. Vaccine alternatives and homeopathic asthma remedies are clear examples of products that can be dangerous to the individual or to the public with more widespread use. It seems reasonable that their manufacturers should provide published evidence before they can label and market their products as treatments for specific conditions. Putting the lack of evidence aside for a moment, there’s an interesting economic angle to this policy shift. We lack sufficient primary care physicians and provincial health plans are buckling under costs. By mainstreaming naturopathy, governments are effectively creating an alternate route for the ill who are willing to pay out of pocket, possibly off-loading some of the cost and cutting down wait times. Provincial health plans don’t cover visits to naturopaths, which cost $100-150, but some private insurance plans do. One wonders if these insurance companies might soon rally to support the call for evidence in naturopathy to avoid paying out for unproven interventions. NB Science-Based Pharmacy is a new member of Science Borealis Health, Medicine and Veterinary Science Category. It is an excellent resource writing frequently about myths and fallacies regarding food, nutrition, drugs and health. Some of our favorite posts were linked in the text. Keep up the good work! Health, Medicine, and Veterinary Science acupuncture, alternative medicine, evidence-based treatment, Hannah Hoag, homeopathy, Kasra Hassani, medicine, naturopathy, public health care. permalink. You mention that migraine patients are some of the most likely to try alternative medicine. It’s no wonder – migraineurs are really failed by the current medical treatments – sham acupuncture works as well as “real” medicines given to us according to this Cochrane review. When fake alternative medicine treatments work as well as the pills our doctor gives us and the condition is so debilitating, it’s no wonder so many people with migraines are willing to turn to alternative medicine. When “successful” treatments work in half the patients half the time, our doctors look like as much a charlatan as a naturopath – but at least the naturopath seems to care.